To request an appointment or send a secure email to Jeffrey P. Schleich MD, visit MyFHN. If you haven't enrolled yet, find out more! 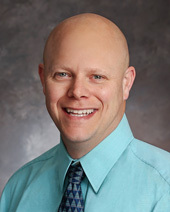 Dr. Jeffrey P. Schleich is a native of Freeport and a graduate of Aquin High School. Dr. Schleich earned a number of clinical and academic honors while in medical school, and also worked as a laboratory technician with the United States Army Corps of Engineers. He is certified in advanced cardiac life support as well as pediatric and basic cardiac life support and neonatal resuscitation. Need help? Finding the right providers for you and your family is an important step in ensuring your best health. If you need help finding a provider, please call us at 1-977-6000-FHN (1-877-600-0346), ext. 965. Many of our specialty care offices require a referral from primary care for your initial visit, so if you're already an FHN patient you may need to contact your primary care provider for more information. If you're new to FHN or don't have a primary care provider, call the number above and you'll have a primary care appointment before you hang up the phone! * Thank you for choosing FHN! *Restrictions or requirements of health insurance carriers may apply; eligibility will be confirmed during our conversation with you.